Franklin Library - buying and selling on the internet. 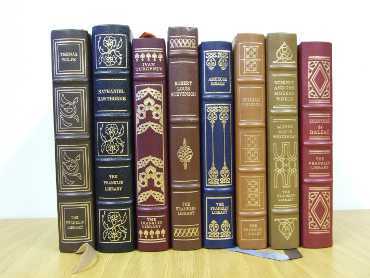 The Franklin Library was the United States' largest distributor of quality books produced in fine bindings for book collectors, similar to Easton Press. The books were designed and bound by The Sloves Organization, Ltd., an affiliate of the mint, whose bindery was one of the few in the world devoted exclusively to the crafting of fine leather book bindings. 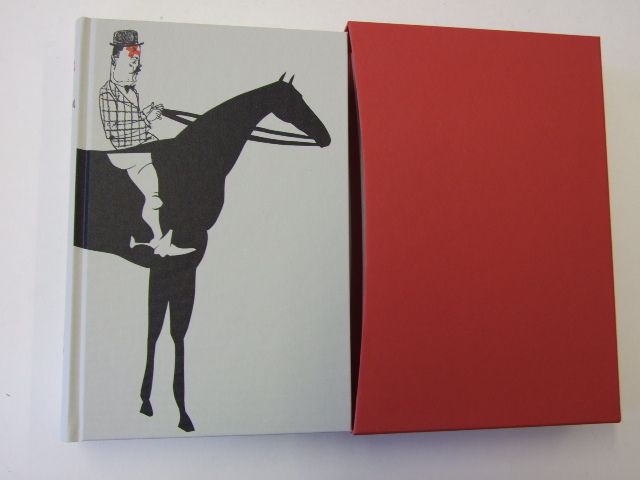 [They make superb special gifts for lovers of quality books. The early editions were bound in full leather, though some later editions used faux (or mock) leather, and the quality was not quite as good. Even so, the books are generally of excellent and durable quality. Some collectors prefer the more matt finish of the books to the glossier finish of The Easton Press. We buy all Franklin Library Books in Very Good or better condition (please see our book descriptions page). Please let us know at RNewbury@ardis.co.uk if you are looking to sell any Franklin Library items. We buy large and small collections and multiple copies of many titles. We generally offer around �8-12 a volume for bulk purchases of Franklin Library books in nice condition. We are always happy to quote and can collect large collections if we can reach an agreement.